We offer state-of-the-art Wet Wire Drawing Machine to draw intermediate wires & fine wires from Ferrous Metals, Non Ferrous Metals and Metal Alloys. Machines suitable for high-speed drawing are available with optional swiveling Die Holders, Tungsten Carbide Cone Rings for very long service life, special Lubricant Cooling System & fully adjustable exit Die Holders. 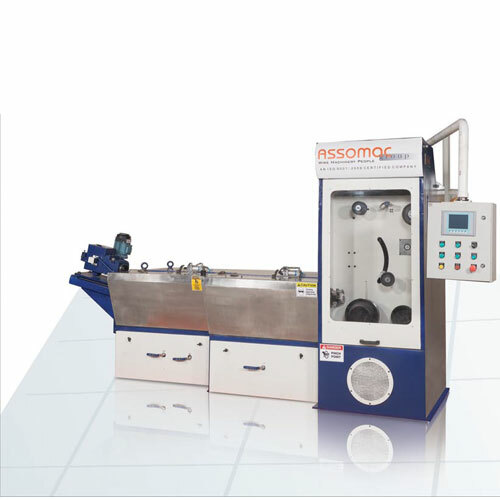 Available in different Capstan Diameters and Spool Sizes, these machines have multi-spindle and multi-die combination, which suit best with oil based lubricants. We also provide complete accessories and spares parts as well as custom designing to meet clients' needs. High speed Timing Belts transmission for power saving or highly efficient Alloy Steel hardened & ground helical gear drive. Solid Tungsten Carbide drawing cones for very long service life or Alloy Steel T.C. Coated drawing cones for economy. Submerged lubrication or splash lubrication options. Support cone or all drawing cone design. Lubricant cooling system with highly efficient insulated plate type heat exchanger or through centralized lubrication system. Cones Shaft Assemblies are easily removable for maintenance and having centralized grease lubrication option. Dancer System at wire exit for providing synchronization of wire collection at spooler. 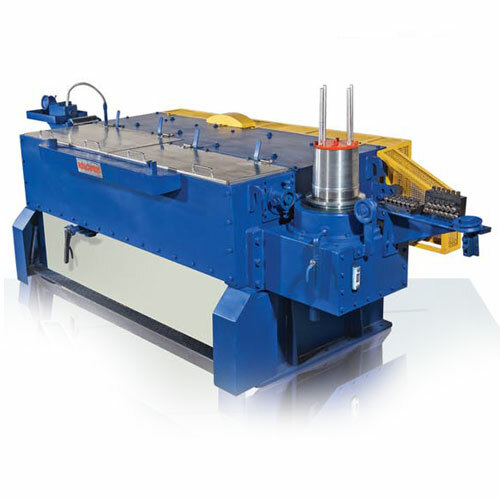 Horizontal Spooler as per required weight with pneumatic clamping or mechanical screw clamping. 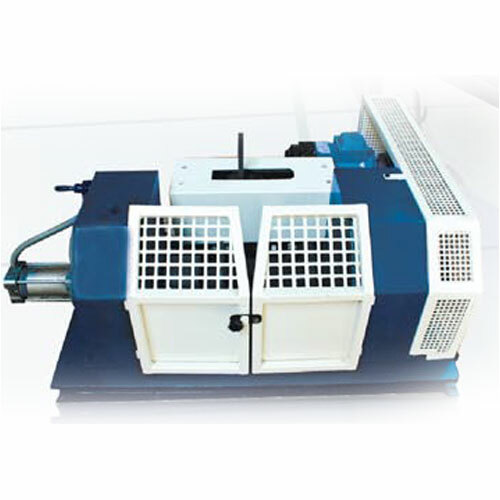 Option to operate the machine in tandem with multi pass dry drawing machines. 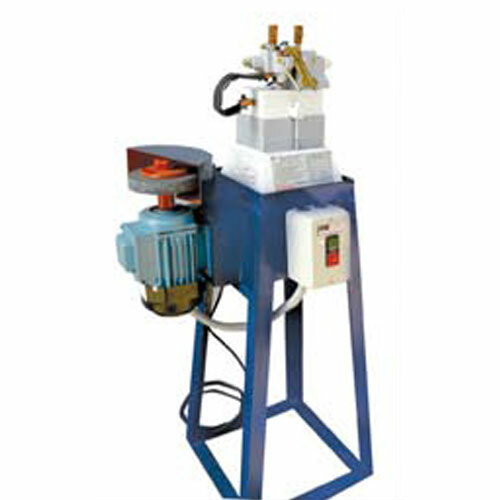 Re-Circulation of lubricant is performed by means of fluid pump, overflow and manual release valve.